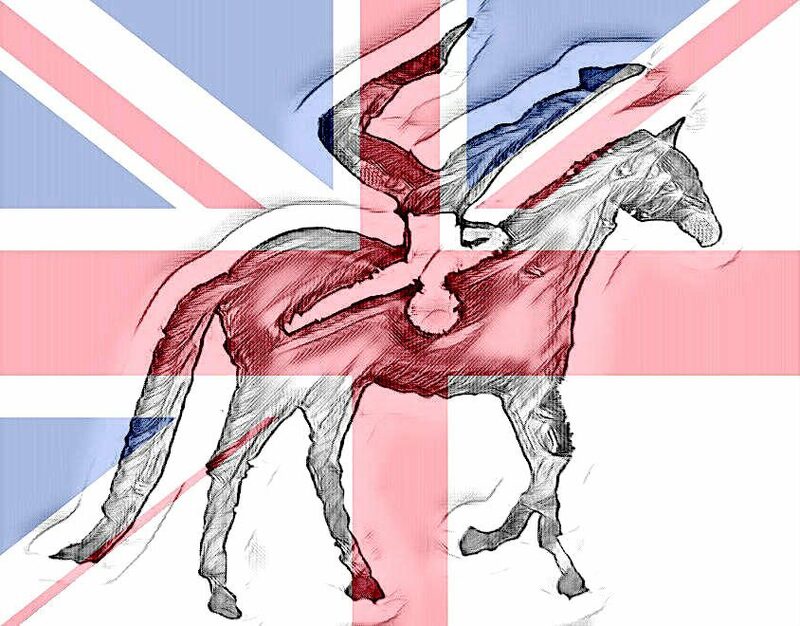 The RDA is a charity with thousands of members across the United Kingdom, as well as further branches around the world. There are opportunities for people of all ages with many different types of disability (physical, sensory, intellectual, or any combination) to engage in riding, carriage driving and vaulting, as well as various educational activities. The emphasis is on having fun whilst also developing, demonstrating and celebrating skills and achievements. In particular, there are opportunities to compete at all levels in both mounted and unmounted activities, from colouring competitions to the Paralympic Games. Taking part in a distance ride to raise money for the RDA – this really is the UK with no filter! Lizzie had been aware of the RDA for many years, but was always sceptical that their approach could help her to get back on a horse. She had tried to ride following her spinal injury but each attempt had resulted in extreme pain and restricted movement, affecting her for up to a year each time. However, on the recommendation of a friend she decided to give it a go. She found her nearest group (which fortuitously happened to cater for the right age group and had experience in training people to national level) and, in September 2014, she attended her first session. Riding for the RDA was a very different experience to the riding Lizzie had done as a child, and to what she had attempted to do ever since. Instead of attempting to canter and jump straight away, Lizzie’s first session was entirely on the lead rein in walk and trot. Although the lead rein was soon removed, she didn’t canter until she had ridden with RDA for a few months, and jumping took even longer. This restrained schedule allowed Lizzie to build her strength up gradually. The severe pain which she had experienced during and after previous attempts to ride again never came about. Rather than pushing her body to exhaustion, the RDA allowed for rehabilitation before anything else. After just a few months she began to compete and in May 2015 she qualified for the RDA National Championships, where she came fourth in Freestyle Dressage to Music. Since then, Lizzie has won national titles in RDA dressage, jumping and vaulting. She sits on two committees in the role of Participant Representative: the East Region Committee and the National Vaulting Committee, and in November 2017 she was invited to speak at the RDA AGM at Saddlers’ Hall, in front of an audience of dignitaries and royalty! Trying on a bridle during RDA stable management class! The RDA has transformed Lizzie’s life for the better. It has given her enjoyment, confidence, ability, experiences and friendships that she could not have found elsewhere. Representing participants on two committees is a small way to give something back to the organisation that has enriched her life so much. She hopes that she will be able to enrich the experiences of other RDA participants so that they will all have the same positive experience as Lizzie. At the moment, her activities and responsibilities include visiting groups, helping with coaching, managing social media, attending meetings and writing newsletters and reports. Lizzie is currently a Trainee Coach for a local RDA Group (riding only) and hopes to be signed off as an Assistant Coach later in 2018. She is also a qualified coach for barrel vaulting.